The children’s taunt of “Made Ya Look” seems to apply to Saks®. 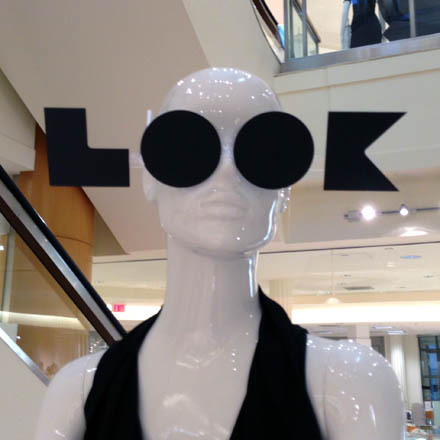 And while the display itself is stylish, well-presented, and helps brand the store visit with Saks sign typography; the “Look” sunglasses take it over the top in terms of effect. Best of all it works well from a variety of distances, still standing out from any background. CLICK the gallery for different distances. One wonders if Elton John might have had a hand in the design.